The transmission is complicated and important component of your vehicle. Keeping your transmission in tip-top shape. Jim’s Automotive Repair has the expertise to oﬀer a range of transmission repairs that don’t always require removal of the transmission. 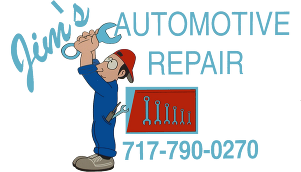 We are able to diagnose and repair electrical issues, faulty sensors or solenoids as well as make calibration changes to the valve body of your transmission. If you’re experiencing what you think is a transmission issue, we strongly suggest that you contact us as soon as possible. If you catch a problem in the beginning stages there is a higher probability that we can repair the transmission without needing to rebuild or replace it. Transmission slipping. If you’re experiencing automatic transmission slipping, it can feel like you’re driving in a certain gear and then it changes for no apparent reason.